Volvo Penta Rubber Diaphragm Seal kit 21389074 for 110S 120S 130S 150S and MS25S Saildrive. 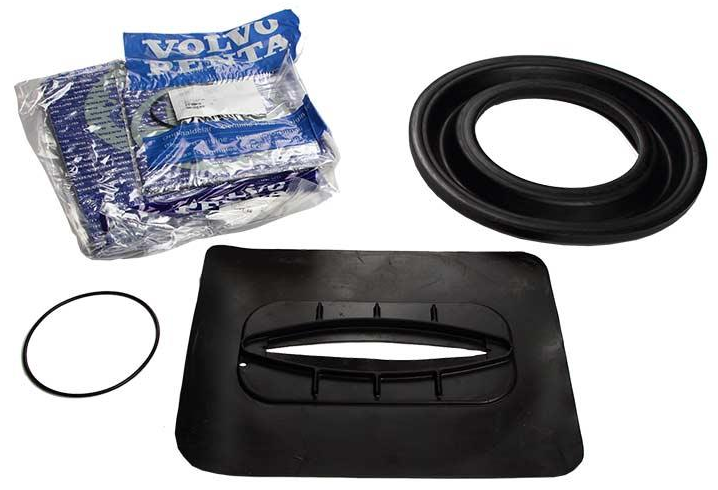 Volvo Penta Rubber Diaphragm Seal kit; Volvo Penta Part No: 21389074 for 110S 120S 130S 150S and MS25S Saildrive. This kit includes the external rubber flap, part number 854932.